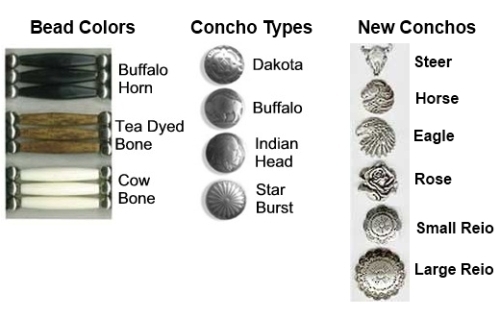 CM-HB2-201 Head Band - Double Strand of Beads with Concho. Please note: Above photograph showa triple row, double row is similar. 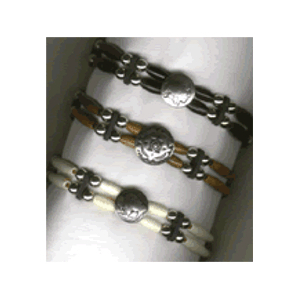 Double strand of beads with unique conchos and buffalo horn beads.